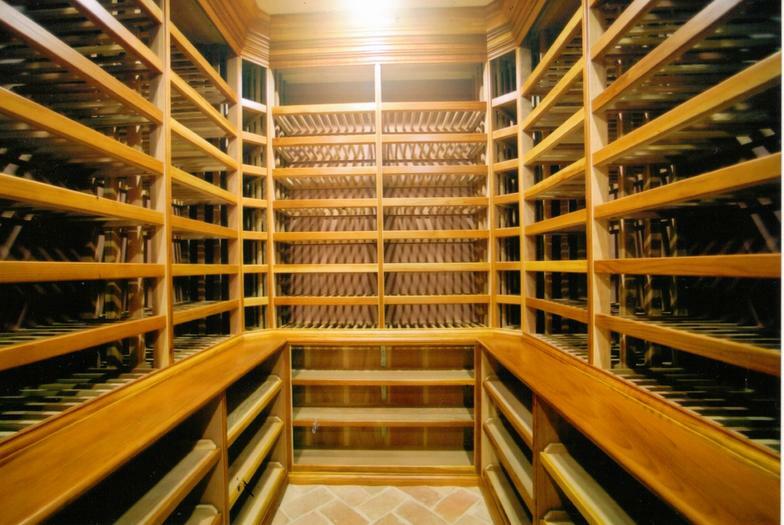 This cellar holds 15,000 bottles of assorted wine sizes, and took 3 1/2 months to complete. Designed for volume and not for show and tell. The room was a workout room and was taken down to the studs so proper insulation and construction could be done. Made of unfinished redwood and mostly bins. Built onsite as to eliminate any difficult areas of design. This beauty, with all its curves, was built onsite and took 5 1/2 months to complete. 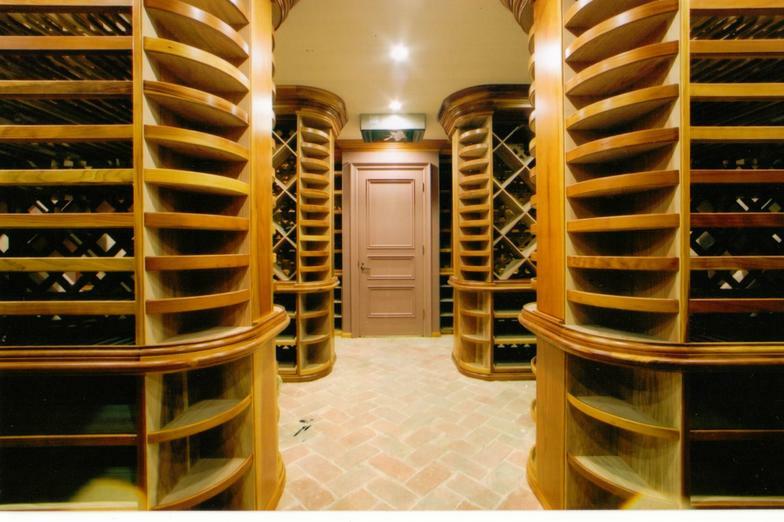 It holds around 9,000 bottles of wine and is made of redwood. A five-piece crown and landings give it an elegant look. Some face areas have three coats of tung oil. This project consisted of room re-construction and custom racks. 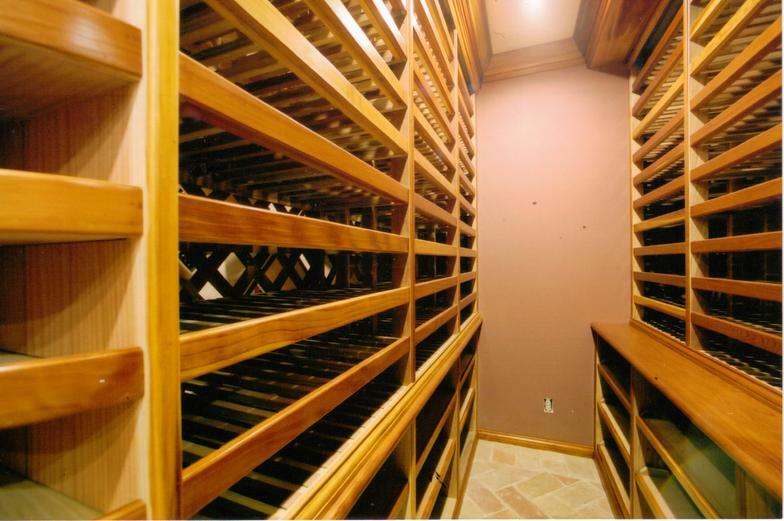 The bottom three shelves are roll outs and holds two cases of wine a piece. This mancave was built onsite and holds about 500 bottles. It is made of Redwood and has many different styles of racks. 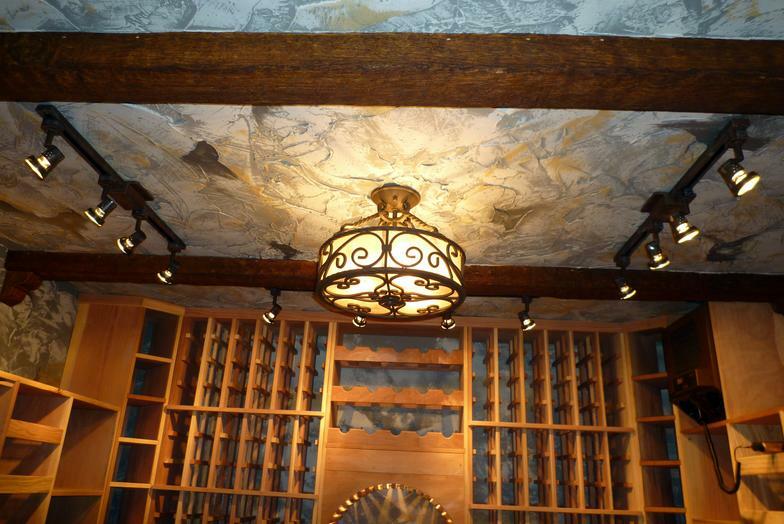 The walls and ceiling are made of heavy stucco and painted to look like rock. The concrete floor was flat and painted to look like stone. 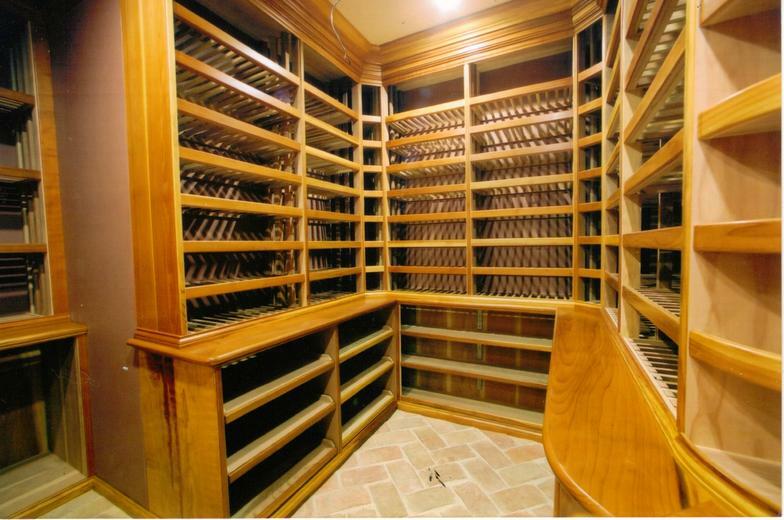 For a medium-sized cellar, it has a lot of extras. It was built in a basement and the cooling unit exhaust was ducted outside. It took about 3 weeks to complete. We call this one the loft cellar because this gorgeous, angled, medium cellar was built upstairs in the media bar room. It holds roughly 2,000 bottles and is built of Redwood. 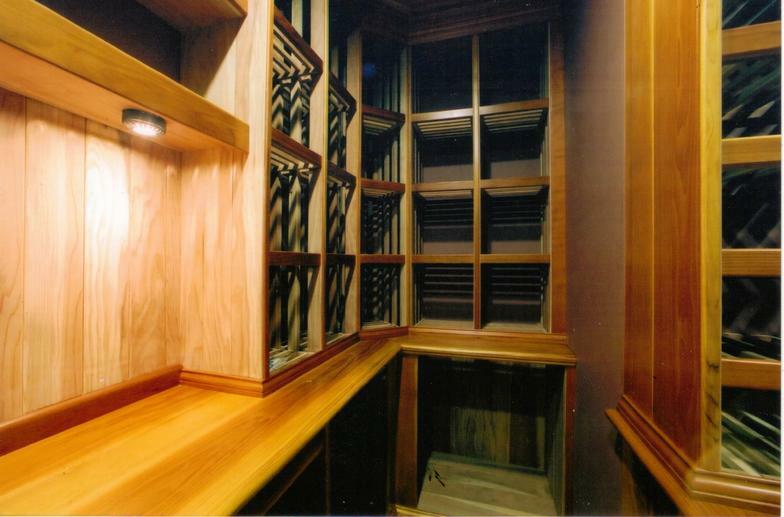 Two windows help show off the room and allows anyone to see into any part of the cellar. It was built onsite and took 3 months. Cork floor, a popular item, was used. out so proper insulation and vapor barrier could be installed. Entrance door was all handmade iron from Mexico with a rubbed bronze look. Most work is done cost plus, but if you would like to work with a budget and have a total cost bid, then we can do that also. Personal service by doing one job at a time. entrance, it holds roughly 6500 bottles, mostly of single Burgundy-style. It was built onsite and took about 5 months. Every bin and opening has a SKU number assigned to it with a quakeguardian restraining bungie strap. 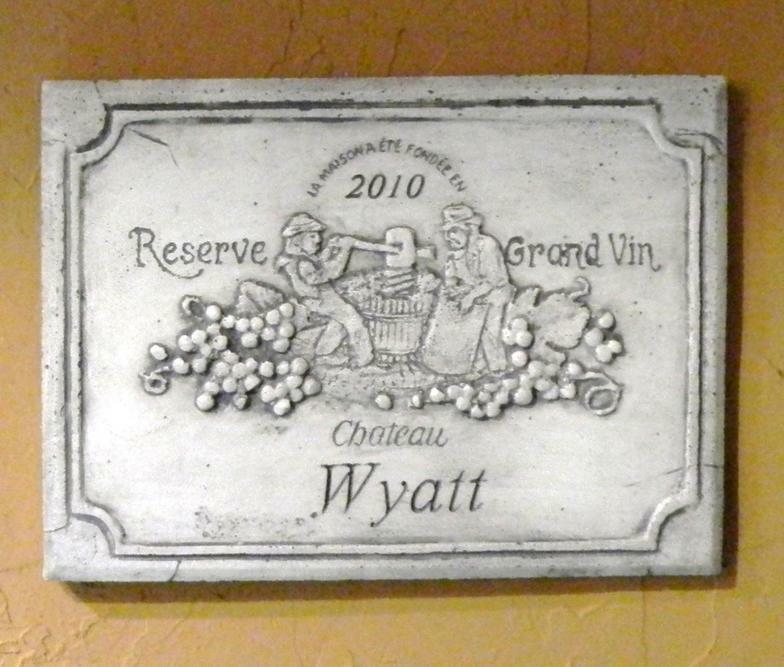 A Burgundy Corton natural stone, that was mined from under a wine vinyard, was used for the work station and the landing area. It looks great! This one took the place of a bathroom and a closet, a complete re-construction of both rooms. 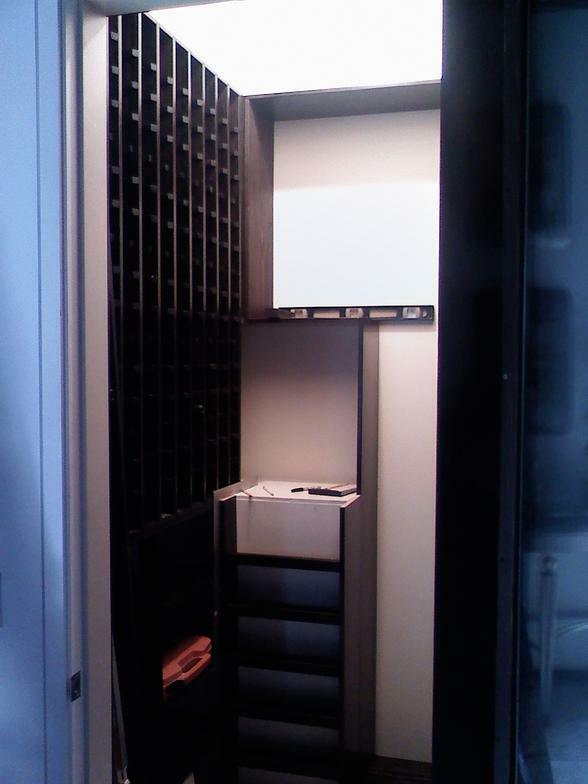 Redwood custom racking was used. 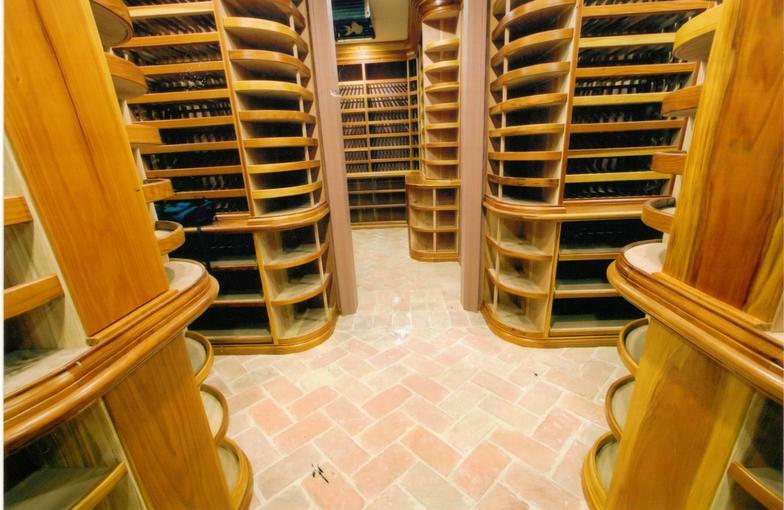 A lot of work went in to this one of a kind cellar.